Her hubby recently finished grad school, but while he was still deep in studies, she treated him with cookies every Friday. I spend so much time baking cupcakes that cookies tend to take back seat in this house. But I have a big cupcake project next week so I decided to change it up & bake cookies instead. Just like Corrie Anne!! Yesterday was about 60 degrees & rainy. There was that fall chill in the air & I had the whole day off. There was nothing I wanted more than for our house to be warm & cookie scented. 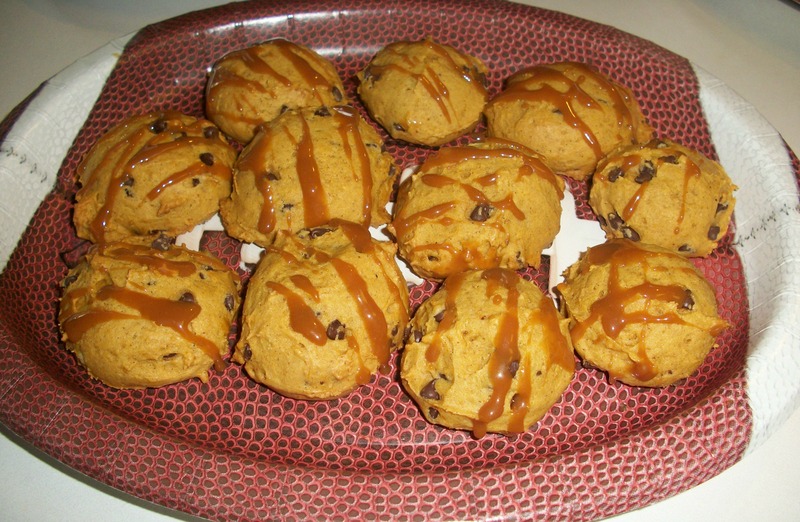 I’m still in pumpkin mode so of course, these cookies involve pumpkin. 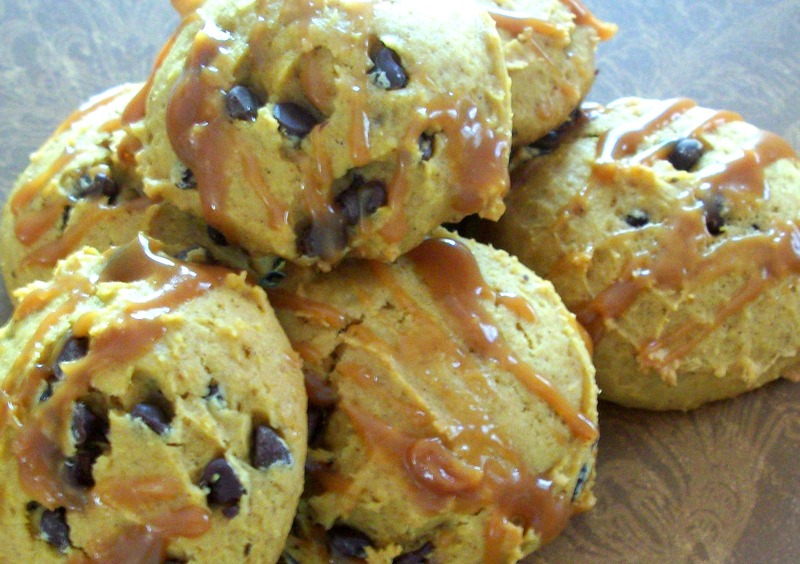 Also brown butter, ginger, cinnamon, nutmeg, chocolate chips & caramel drizzle. P.S. Is it hard for anyone else to stop pumpkin with the “n”? I swear I type pumpkinG every time. Our neighbors invited us over for a football party last night. The Packers were playing the Bears & they are Bears fans. It was basically like entering enemy territory so I had to bring goodies. On a football plate, natch. I also took chili. Notice the Packer colored peppers? 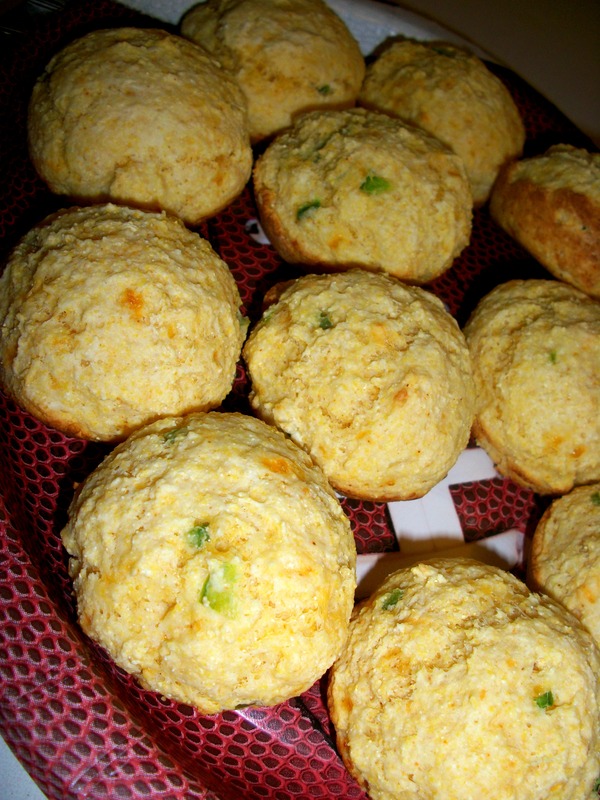 …Jalapeno Cornbread Muffins- “coincidentally” also yellow & green. I totally forgot to put eggs in this recipe. They weren’t awful without but definitely would have been better with. 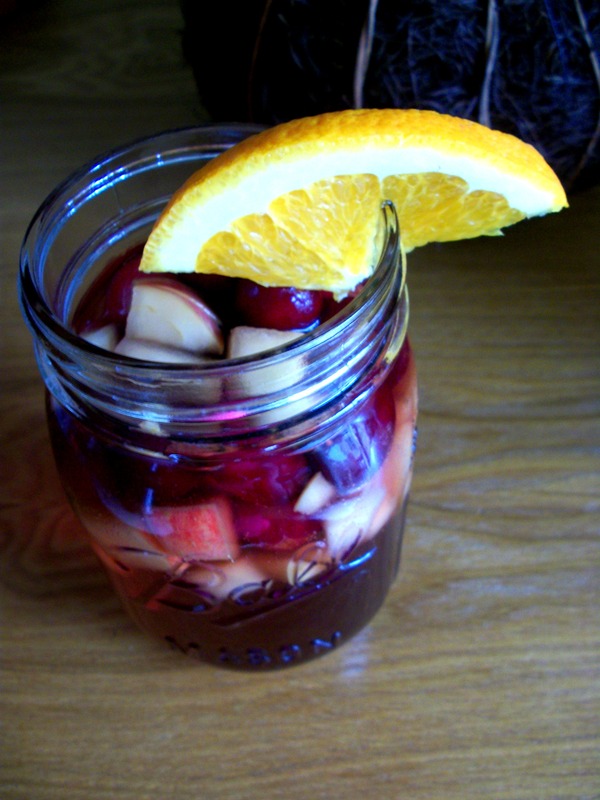 …and Crisp Autumn Sangria. Recipe to come next Thursday. The chili & cookies were a huge success. It was a BYOB party so I’m really the only one who drank any sangria & I have plenty left for a family get together tomorrow. The best part of the party was our neighbors snuggly baby that I’m now feeling awful about breathing all over as I have a horrible cold. The bonus party favor: THE PACKERS WON!! This morning we took Fielder in for a haircut & stopped at DD for breakfast. I realize DD isn’t a big deal to many of you, but this is Madison’s first so we had to try it out. My tastebuds are a little off from this cold but I was pretty pleased with my Skim Pumpkin Latte & Egg White Turkey Sausage Flatbread. Sure a 600+ calorie breakfast isn’t ideal but we had to try it at some point, right? This house feels sooooo quiet and weird without Fielder so I can’t wait to go pick him up from the groomer. In the mean time, this is where you can find me. 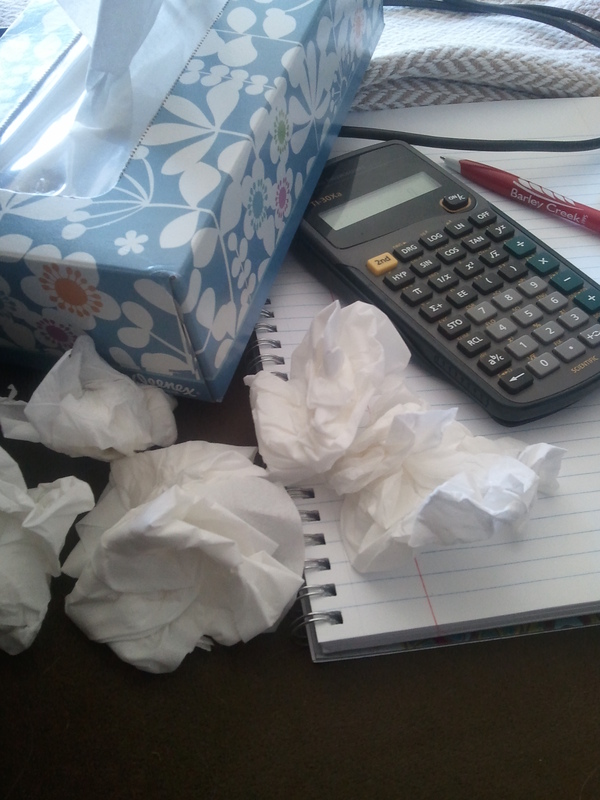 On the couch, with a box of Kleenex, and Algebra homework. I work the closing shift tonight at work & for some really strange reason I feel like breaking out my old Turbo Jam DVDs. I’ll let you know if I have a cardio party with my old BFF Chalene later. Hope you all have a super fantastic weekend! 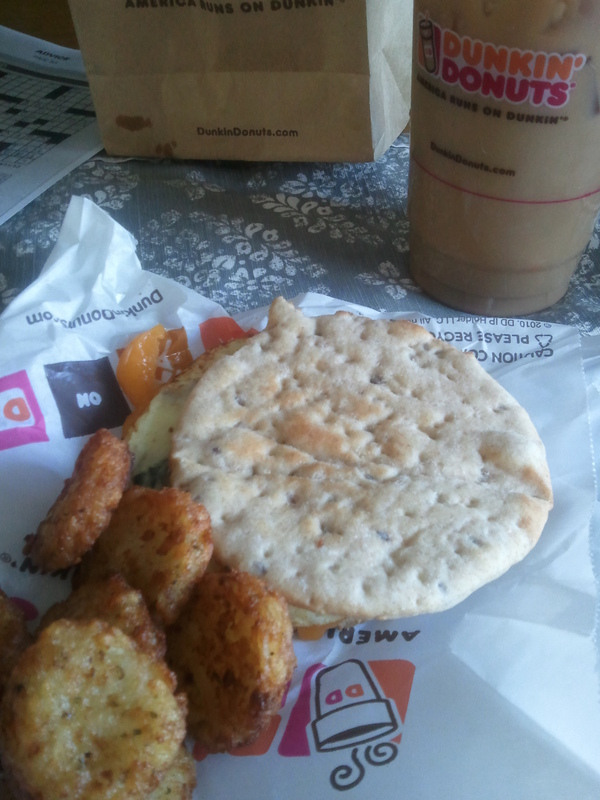 Do you have Dunkin’ Donuts near you? It’s weird that we didn’t have one here before now, but I know there are some in the area. I’ve had their plain ol’ coffee & donuts before while visiting New York & Boston, but this was my first time actually looking at the menu & making a decision. WOW!! Thank you!! 🙂 I love it!! 🙂 Those muffins look really good too! 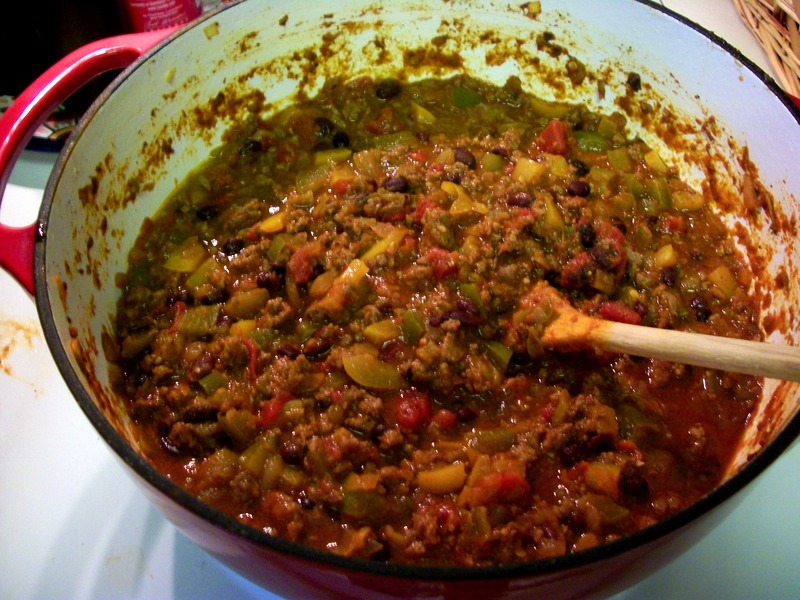 I have chili planned for dinner tonight! I’m sad that I moved from Madison JUST as the DD came in. 😦 But you should check out Greenbush Bakery on Regent if you haven’t already.